The fort covers an area of 362 acres (1.46 km2). It has 360 watchtowers, six large and twenty one small gates. The large gates are called the Delhi darvaza, the Sirpur darvaza, the Akot darvaza, and the Shahanur darvaza. The innermost of the three gate-ways is the Shahnur or Mahakali gate. It is built of white sandstone and is highly ornate. It is decorated with conventional lotus flowers, a rich cornice, and Arabic inscriptions, and flanked by projecting balconies with panels of stone lattice-work displaying considerable variety of design. It is considered an example of Sultanate style of architecture. An inscription records the fact that the gate was built in the reign of Shahab-ud-din Mahmud Shah (Bahmani) by Fathullah Imad-ul-Mulk in 1486. A short verse from the Quran is also inscribed. The fort still display " Ashtakamal" eight petals Lotus which was the symbol of Narnal Singh's dynasty. These lotuses are visible on the mosques and many other places. Hence it is evident that Islamic rulers made changes in Narnal Singh's original architectural construction and converted the place in Moghul form. It was impossible for any ruler to rebuild entire fort considering the geographical location of the fort. Akola is a large town well connected by roads and railways. Narnala is 66 kms from Akola. Akot is the taluka headquarters at 40 kms from Akola. From Akot Popatkhed the base village of Shahanur is at 20 kms. 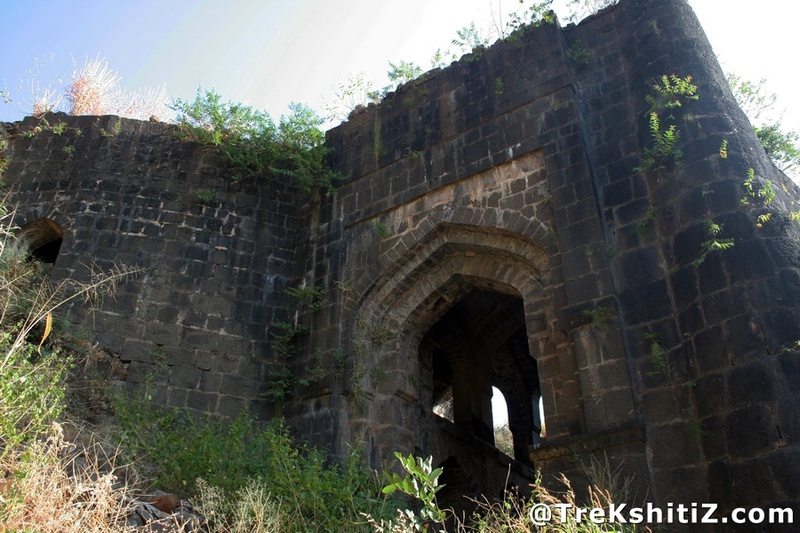 One has to pay an entrance fee at the forect office in the village and procced to Narnala fort at 6 kms. Accommodation can be available in Akola, Akot or Shahanur. Shahanur has accommodation facilities by the forest department. Food is available in Shahanur village. As it takes a whole day to visit the entire fort it is advised to carry enough food along. Water is available in the lake of the fort but it advised to carry water along. 2hrs 30 mins from base village Shahanur. 1) In order to visit the entire fort well in time travel by your own vehicle to Shahanur / Mehendi entrance and proceed to Mahakali entrance and leave your vehicle to proceed on foot. Take the vehicle next at Shakkar lake. 2) As this fort comes under a wildlife sanctuary and is under the surveillance of the forest department and archeological department it is strongly advised to tour around very carefully by not hurting any of the living or non-living properties in the premises of the fort. even trees have to be dealt with utmost care. 3) It is recommended to hire a local guide or a forest department officer to cover the hidden and not so well known parts of the fort.